We offer a great selection of Natural Gas and Propane grills for your home. We focus on providing a high quality product with a warranty to back it up. All of our grills are available to be picked up at our store, or we can assemble, deliver, and install onto your patio for you. This is the type of service you will get from us, that a big box store could never do. You will be getting a grill that will cook great and last the test of time. Invest in a quality product from Northfield Fireplace & Grills. Napoleon grills offer a high end quality grill for a fair market price. Grills are offered in either Natural Gas or Propane. Most Napoleon grills are available on a cart with cabinet doors beneath and even built in models for your custom outdoor kitchen.. Their most popular grills have a bigger than average grilling area, making it easy to cater to any party you may be hosting. From the simple "P" series grills on up to the "Prestige" models, there is sure to be a Napoleon grill that is perfect for you! Below are some of the most popular models we stock at our store, however, we would be happy to order in anything you may be interested in. MHP grills introduced the first outdoor natural gas grill in 1960, and has been making high quality gas grills ever since. They are most famous for the "in-ground" post model grills. These grills a solid performers made from all non-rust materials such as stainless steel cooking grids and aluminum castings & posts. They are not as fancy as some of the other brands, but their quality and longevity make it worthwhile. The companies products are all "MADE IN AMERICA". They invented the patented Searmajic cooking grids, a patented "H" style stainless steel burner, an all aluminum no rust exterior constructions, and a "Sta-Kool" stainless steel handle. This is a no frills grill, but if you are looking for something that is just plain quality, this is the grill for you. Building on a legacy of commercial-quality appliances, DCS Grills are uncompromising in their powerful performance. Engineered to deliver the functionality and power demanded by a professional chef, DCS Grills are hand-finished to complement the quality of your premium outdoor kitchen and built to withstand the demands of the serious cook in all seasons. Twin Eagles develops, from design prototyping to testing to final production, gas grills and outdoor kitchen accessories at their state-of-the-art company owned facility in Cerritos, California. The Twin Eagles family consists of passionate, highly trained designers, engineers and skilled craftsmen bringing you exquisite products. MADE IN THE USA! 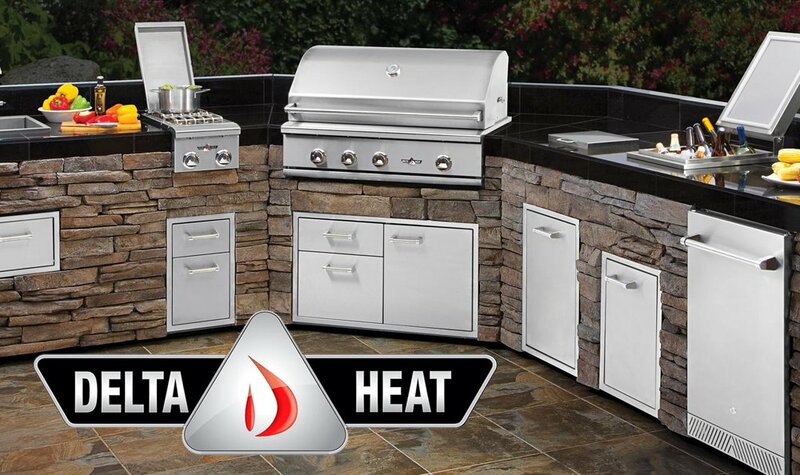 Delta Heat products are engineered, designed and manufactured by the industry leading premium grill and outdoor kitchen equipment experts – Twin Eagles, Inc. 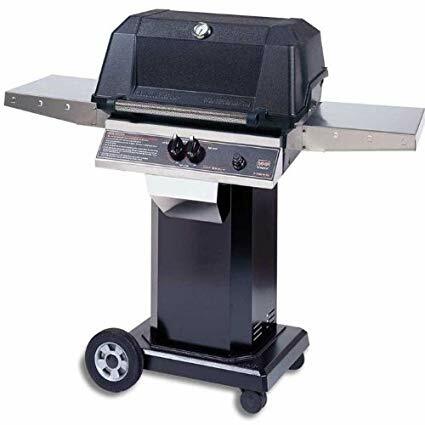 They offer medium price point grill with extremely high quality stainless steel components and polished finishes, all in a great performing grill. MADE IN THE USA! Pellet grills are the latest trend in outdoor cooking. Offering ease and convenience with amazing flavor results. Louisiana Grills offers a lot of models to choose from with one of the only companies to offer a cold smoker cabinet option.